Shadow Police and Community Safety Minister Edward O''Donoghue with Liberal Evelyn candidate Bridget Vallence. A Liberal Nationals Government would introduce a daytime PSO shift at Lilydale Railway Station. PSOs already staff the station from 6pm until the last train. The new daytime shift would run from 10am to 6pm at up to 20 railway stations identified as daytime crime hotspots, including Lilydale. 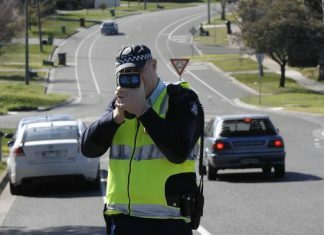 The Liberals pledged to work with Victoria Police and The Police Association Victoria to recruit and deploy the 100 new PSOs that would be needed. 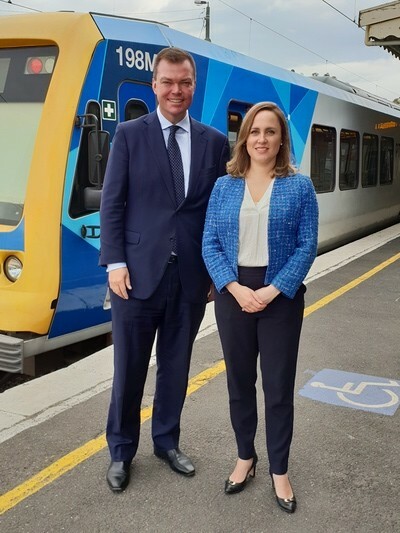 “Locals using Lilydale Station for trains and buses are concerned about safety day and night,” Liberal Evelyn candidate Bridget Vallence said.